This guide provides a complete set of evidence-based teaching lessons and resources to increase the understanding of mental health and mental disorders, decrease the stigma of mental illness and enhance help-seeking efficacy among both students and teachers. through usual teacher education and application in the classroom in a variety of program evaluations and research studies in Canada and elsewhere. 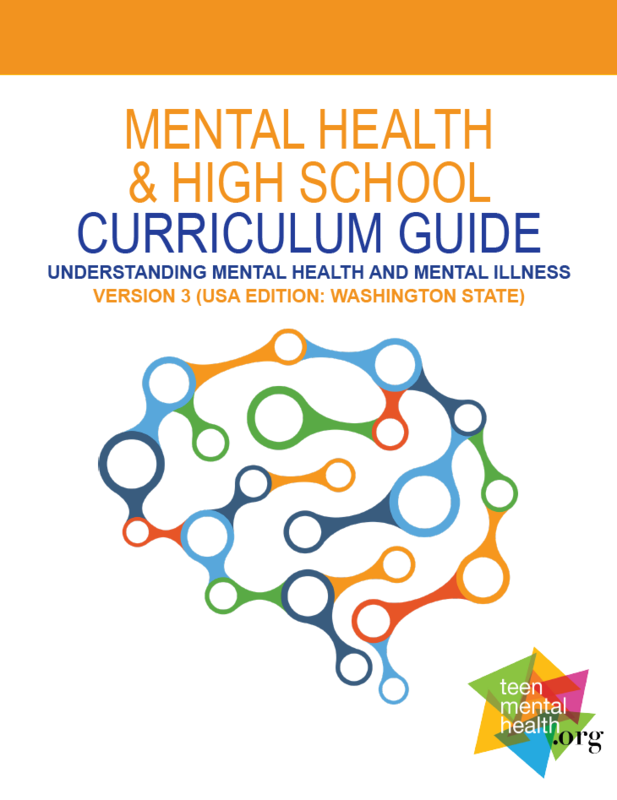 The curriculum guide and resources can be found at teenmentalhealth.org/curriculum. On the right-hand side click “Guide Download”. The password to access the online teaching module resources is included on the first page of the curriculum guide. You can access these modules by clicking “Access the Modules” on the right-hand side of the web page referenced above. The National Mental Health Innovation Center (NMHIC) was established in 2016 with a mission to find, develop and put into practice big new ideas to prevent, treat and change the way people think about mental illness. As part of the University of Colorado Anschutz Medical Campus, NMHIC has a unique role in connecting academic research, patient treatment and industry innovation to accelerate mental health solutions that have significant impact for patients and entire communities. Our focus is not that of a typical university entity; we do not do research, teaching, or direct practice. We focus on the implementation of ideas that we believe to be innovative, effective options for improving mental health. We implement these projects in collaboration with community partners across Colorado and the nation.